Liziane Gutierrez ﻿is in the middle of another nightmare beauty procedure ... a procedure that went so bad, it could require major surgery to get it right. 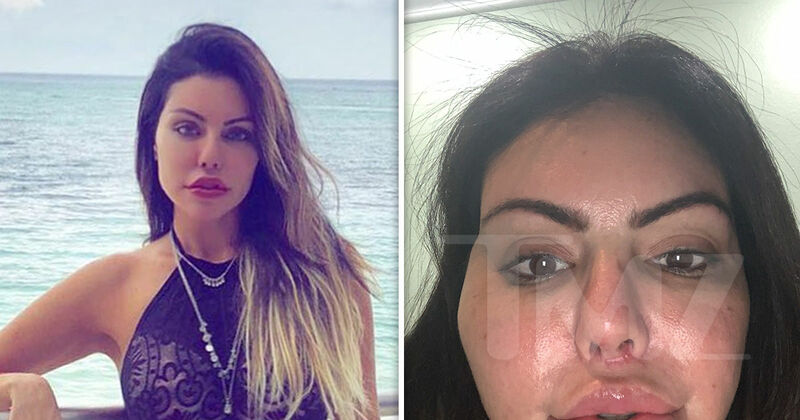 The Brazilian model tells TMZ ... she went for botox and fillers for her face and lips last Tuesday in Brazil, but by that Sunday night, her face started feeling numb. When she woke up, her face blew up ... the pain was so intense, she thought her face was going to explode.